Buba, my magical counter. You are loving your numbers and letters at the moment. I don’t know what you should and shouldn’t know by this age but I love that you can count to one hundred by yourself. Except of course, when we are egg hunting and it disappoints you that Mommy has only hidden 20 eggs and not 100 for you to find and collect. I try to still get things by you but you are growing up way too fast and know when Mommy is pulling a fast one on you. I used to be able to skip pages during story time, tell you we will do it later or I will buy one another time and you forget but that’s just not possible anymore with your big boy memory. While I am sure most kids your age are the same I wish I had more time with you being a baby, my little boy, to teach and guide you before you go off to school soon, before you say things like, “I already know that Mommy”. I know it will come soon enough. 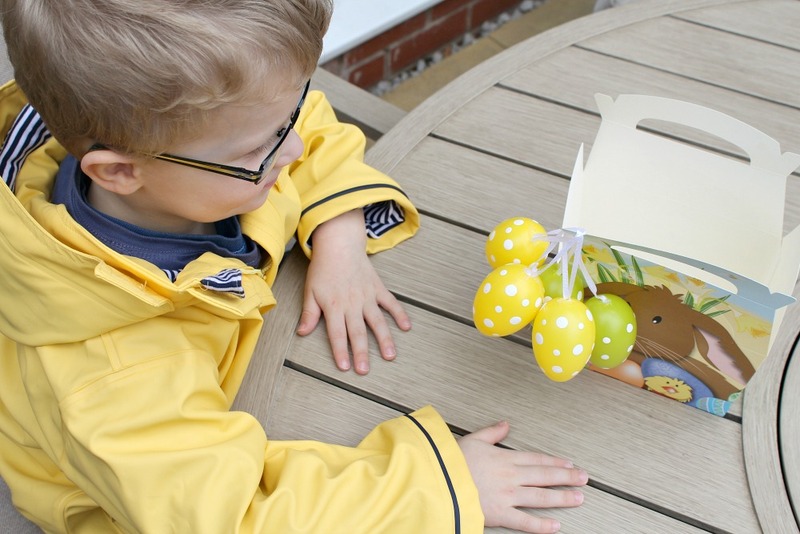 We have had a lovely Easter weekend with you son, collecting eggs, baking, drawing on the sidewalk with chalk and Daddy teaching some english game called “curbie”. A game, Mommy thinks he made up but you loved it nevertheless. Missy Moo, your eye is healing rather well. Your back teeth have been pestering you a little bit causing some serious four finger sucking and drooling but you take it in your stride. You got to miss your nap this weekend for only the second time ever and it did not bare nicely with you. It just shows me how much your routine really is good for you. You were distraught like I have never seen you at bedtime that night. Other than that we have had a great Easter weekend. You are the best egg collectors ever! I love seeing the little things light your face up like magic. It was adorable when you sat down to count out your eggs and see what you collected. Then it wasn’t long before you were literally chucking those same eggs right down the slide and getting muddy in your wellies. I love that about you. You are a true adventurer and on to the next thing each and every time. You are learning to make your own decisions lately. We ask you if you would like this or that leaving you to feel like you have a say in certain things but lately you also take that power to the next level and tantrum if you see something you want and can’t have it. We had our first public meltdown at church this weekend, thankfully it was while we were walking out and not as we were walking in. I couldn’t stop laughing only because I have never seen you act so naughty and be so stubborn in your entire. If I hadn’t been laughing I probably would have cried for all the attention you were bringing to yourself. But as a girl, I knew it was only a matter of time before I witnessed it. Let’s just hope little lady it they are few and far between for both our sakes. Happy Easter to my two beautiful children!!! Thanks Fiona. It was fun hiding them for the kids. 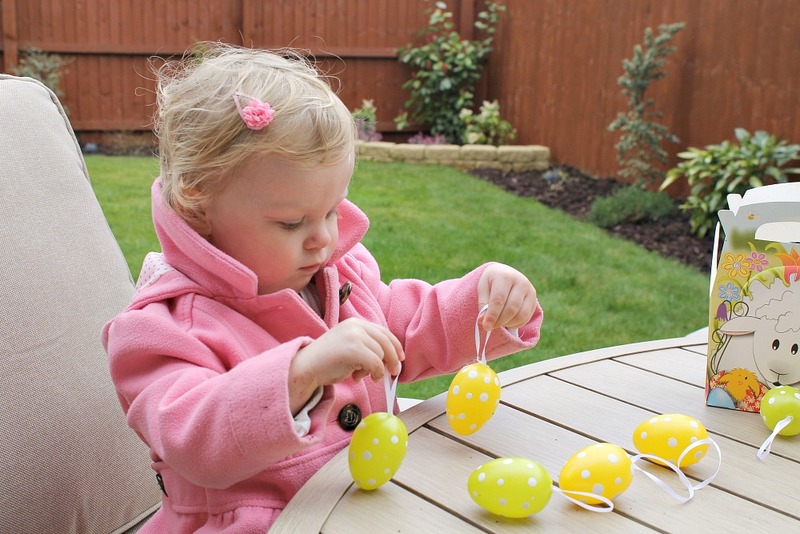 I can’t wait till they are a bit older and really get into the Easter fun! Thanks Donna we did a big egg hunt in our own back yard. The kids are so small still I didn’t want to overwhelm them at a local park one yet. We still had a blast. I think I did too Hayley. Maybe all adults really do it for themselves. hahahaha I think you are right on the MM front too. Challenges ahead. I love those polka dot eggs! Sounds like fun. Thank you. They came in a huge pack from the garden centre. So cheap.